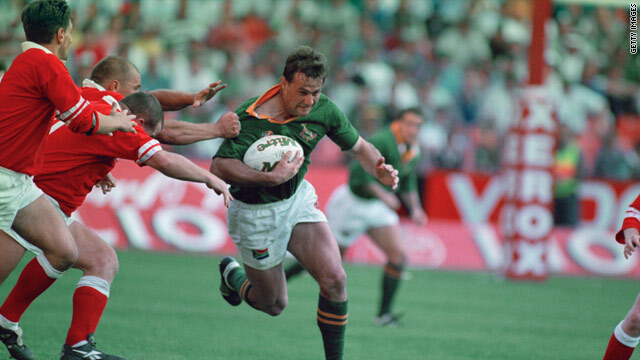 Ruben Kruger was named South African Player of the Year in 1995 -- the year the Springboks won the World Cup. (CNN) -- Former South African rugby World Cup winner Ruben Kruger has passed away following a long battle with brain cancer. The ex-Cheetahs and Bulls flanker was first diagnosed with the illness during the early 2000s at the end of a successful career that saw him earn 36 Springboks caps. Kruger, who was just two months short of his 40th birthday, made his debut against Argentina in Buenos Aires during 1993 and was named South African Rugby Player of the Year in 1995 -- the year the country lifted the World Cup. "Ruben Kruger was the epitome of the Springbok flanker, tough, indomitable and with an outstanding work ethic," Oregan Hoskins, president of the South African Rugby Union (SARU), told reporters. "When Ruben was on the field you always knew that the Springboks would not be beaten without a tremendous battle. "Our prayers have been with him through his battles against illness and it is very sad to hear of his early passing. Our thoughts are with his young family and we extend to them our sincerest condolences." Kruger made his final appearance in the green and gold against New Zealand in 1999.